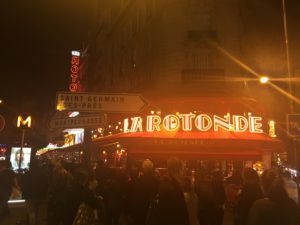 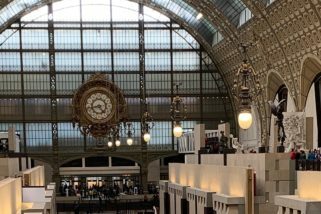 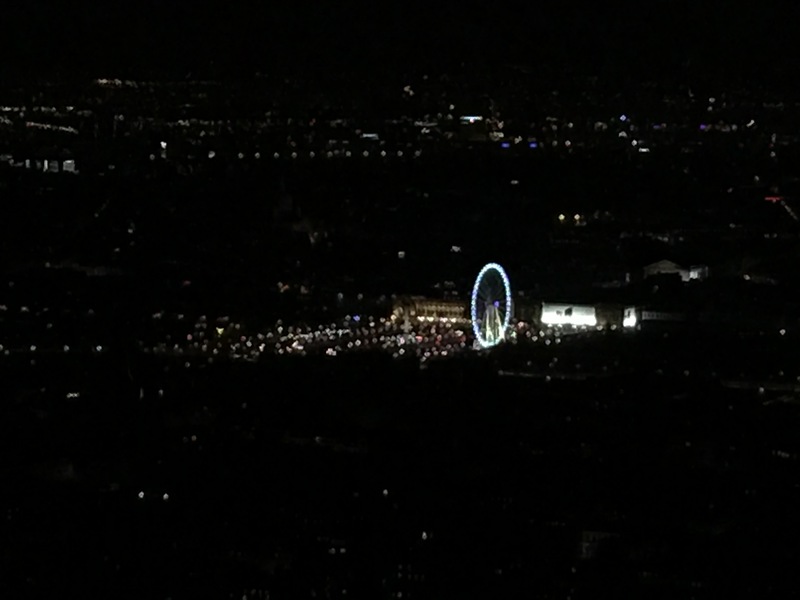 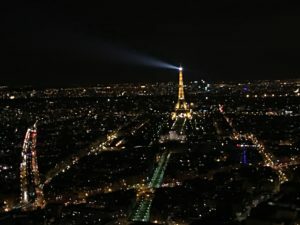 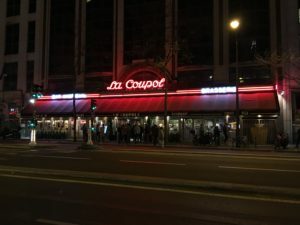 My last FB post was a short video of the Saturday night activities at the Trocadero overlooking the Eiffel Tower, but the Paris nights seem to go on and on. After I took that video I jumped on the Metro and headed for “The Quarter” in Montparnasse. 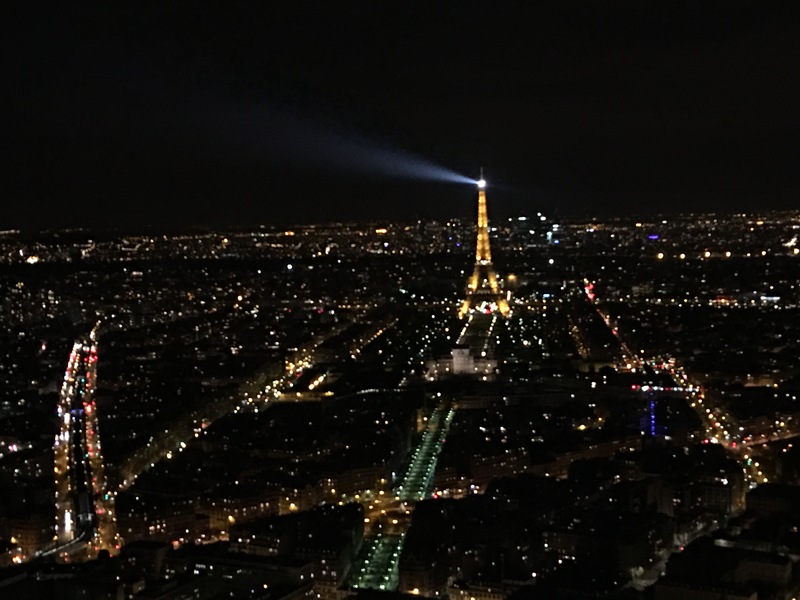 I emerged from the subway at the Montparnasse tower for a great view of Paris and the Eiffel Tower from the observation deck 60 floors up. 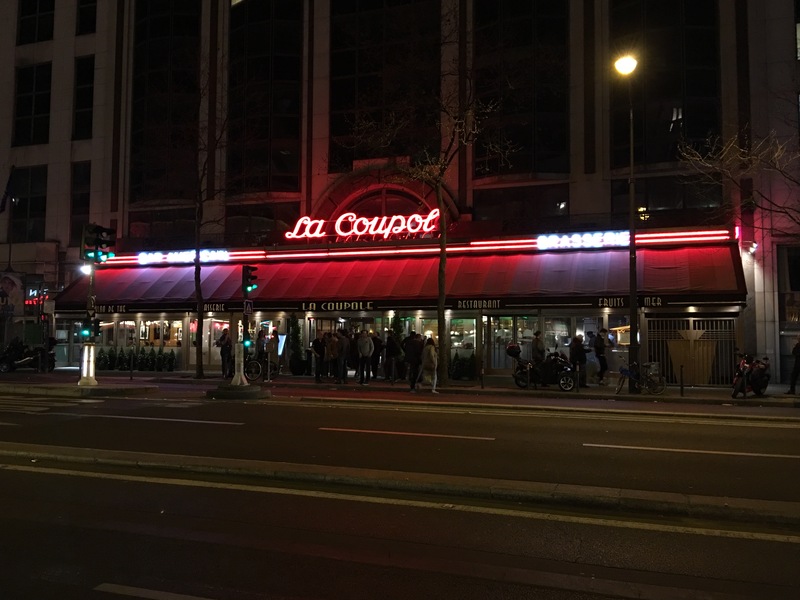 Then it was back down to earth and a stroll a few short blocks to the corner of Boulevard Raspail and Boulevard du Montparnasse. 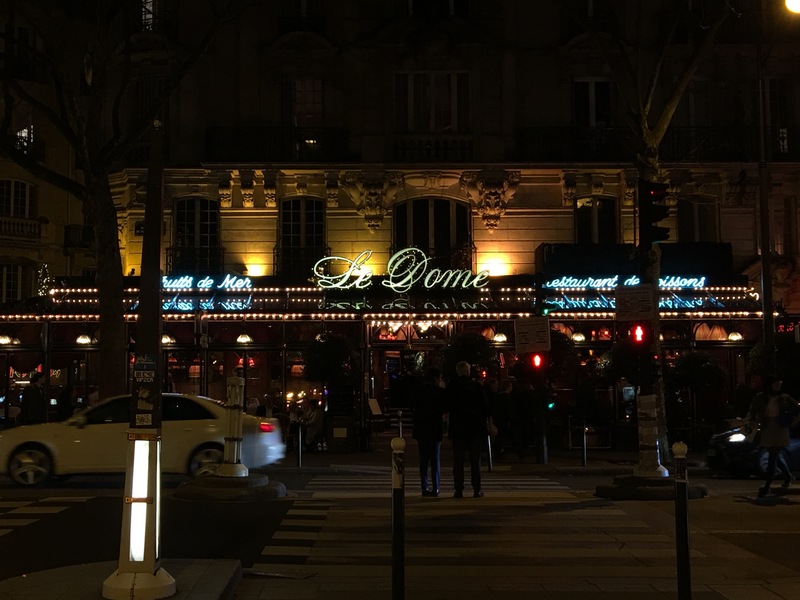 This magical intersection was the center of the universe in the 1920’s and it was anchored by four cafes, “Le Select”, “Le Dome”, “La Coupole” and “La Rotonde”. 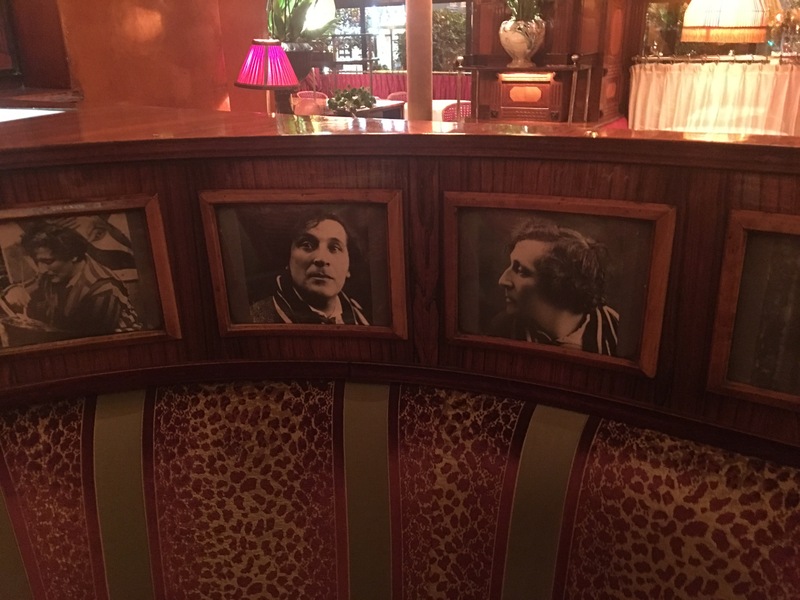 and they were the bastions of the avant-garde. 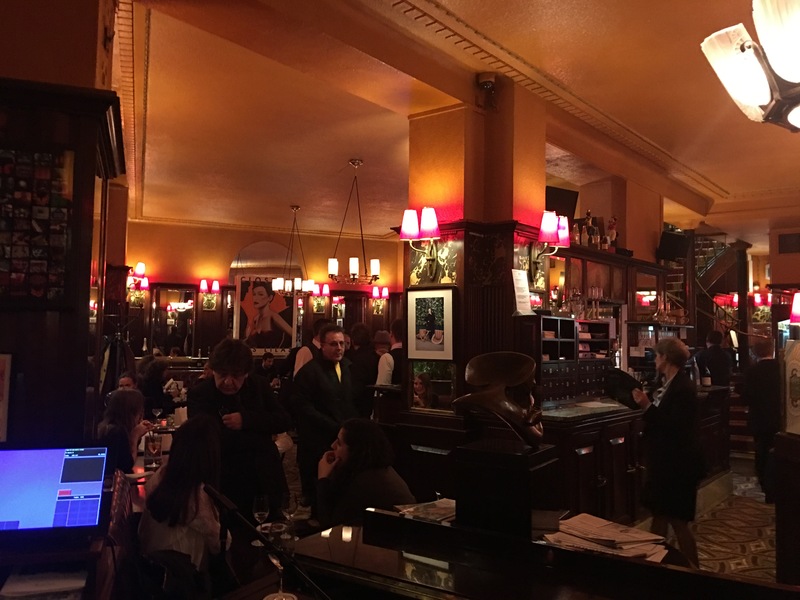 Visiting those cafes in those days on any given night you would be joining the likes of Hemingway, Scott Fitzgerald, Dali, Man Ray, Picasso, Modigliani and Josephine Baker to mention just a few and many books have been written about Montparnasse and the artists, writers and celebrities of all kinds that hung out at that intersection. 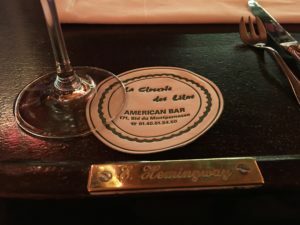 I have a favorite and it was Hemingway’s too. 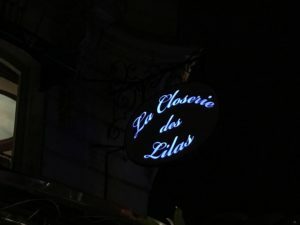 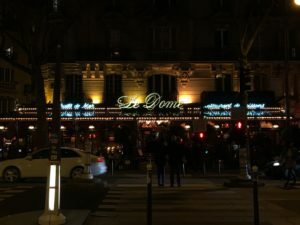 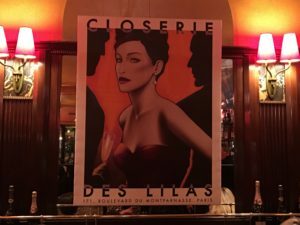 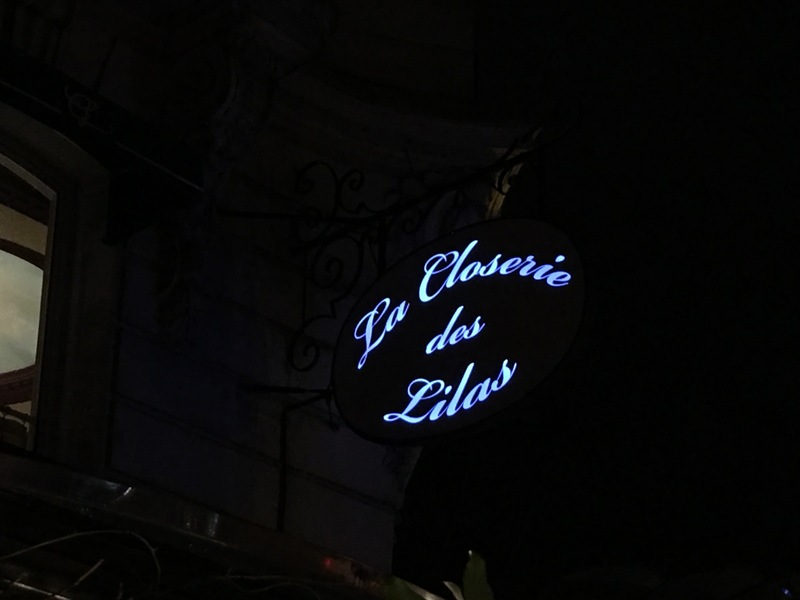 It is a couple of blocks further down Boulevard du Montparnasse to “La Closerie des Lilas”. 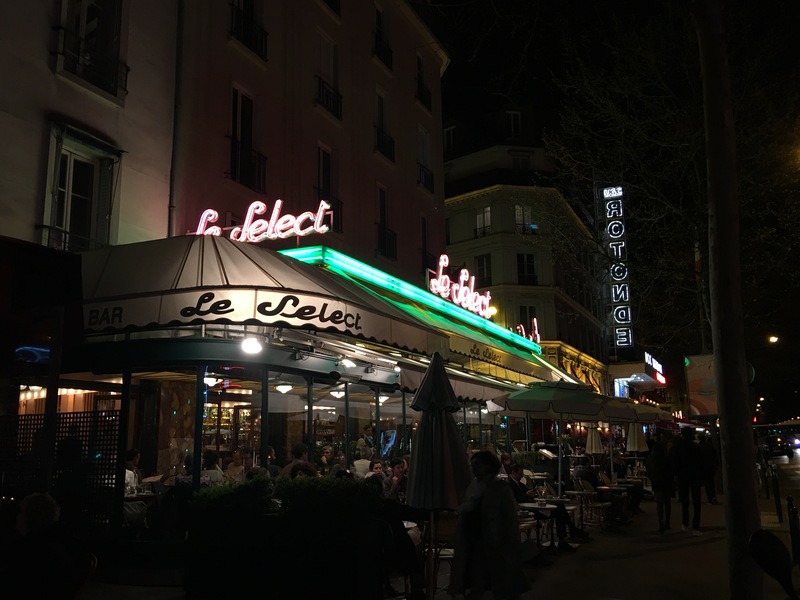 It was the café he liked to call his own. 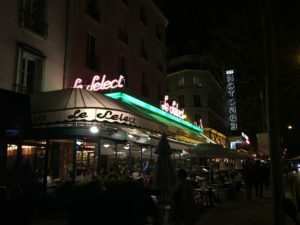 It was closer to his apartment and a little quieter. 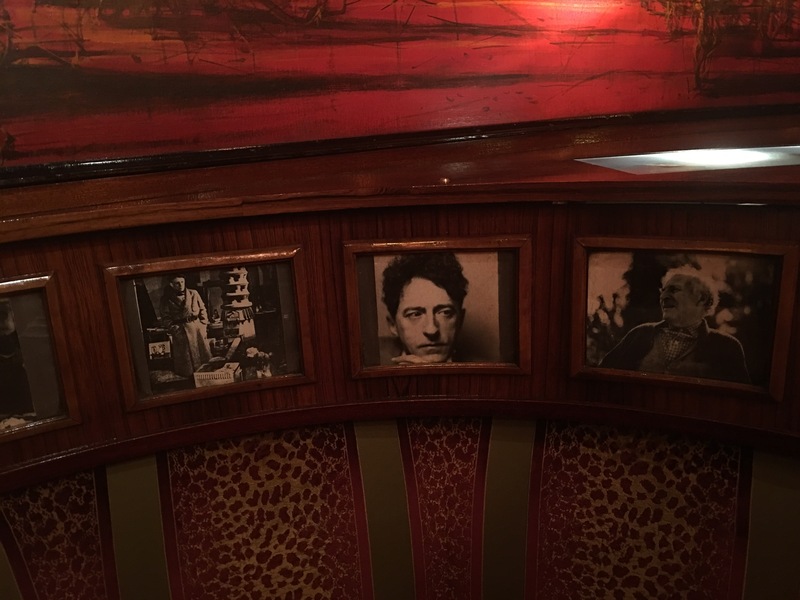 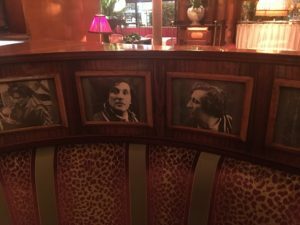 It is said that he wrote most of the first draft of “The Sun Also Rises” in this café. 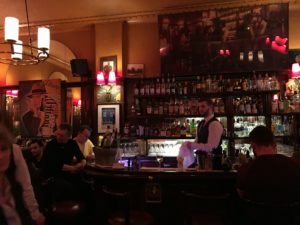 I walked in to the bar while (I swear) the piano player played a Cole Porter song and headed for my favorite spot at the bar marked with a brass plaque engraved “E. Hemingway”. 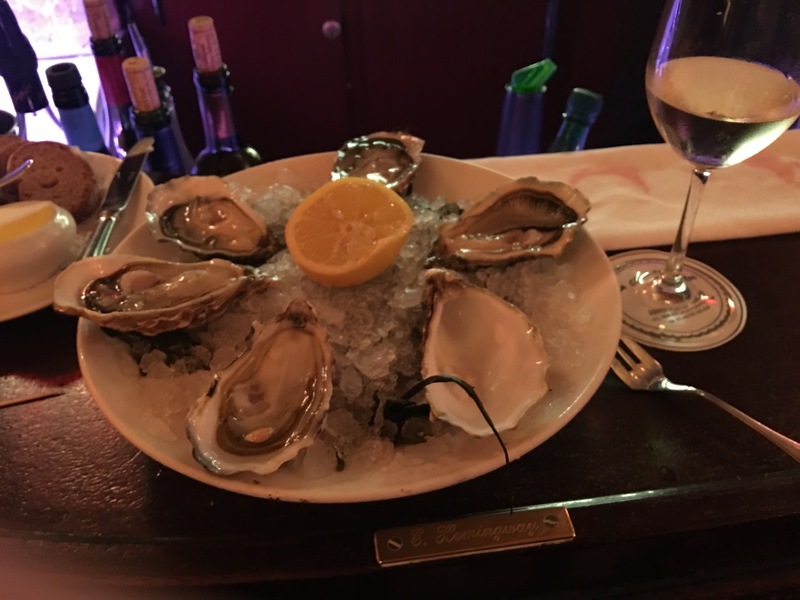 I ordered a glass of dry white wine and picked the Gillardeau #3s from the oyster menu and drifted off. The next thing I knew the oysters and the wine were gone and I felt this incredible urge to write a novel. I have no idea how many times I have watched that DVD, but it’s my favorite.